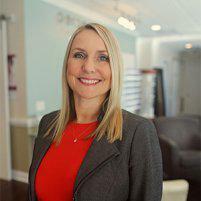 If you’ve injured an eye or have a painful, itchy eye infection, Tara Parnell, OD, and her team at Perceptions Eye Health and Wellness in Southport, North Carolina, offer emergency eye care services. Call the practice immediately for advice, and the office staff will schedule you for the next available appointment. Don’t delay treatment and put your vision at risk. Call Perceptions Eye Health and Wellness immediately or book a same-day appointment online. Your vision is critical, and if you have an injury or problem with your eye, you should seek immediate attention and advice. Some of the signs that indicate an eye emergency include a sudden loss of vision, loss of eye movement, bruising or bleeding in or around the eye, and severe itching. Treatment for an eye emergency depends on the specific injury or trauma to your eye. For example, if chemicals splash into your eye, Dr. Parnell gives you instructions on flushing your eye at home and provides thorough flushing and exams in the office to ensure your eye is clean and to assess any damage. If you get something in your eye, don’t try to remove it. Call Perceptions Eye Health and Wellness and wait for Dr. Parnell to examine your eye so she can remove the object safely, protecting not only your vision but also the physical integrity of your eyeball. If you have an eye infection, Dr. Parnell can prescribe medicated eyedrops or pills to help your body fight off the infection. You should avoid touching, rubbing, or scratching your eyes, no matter how much they itch and burn. How can I reduce my risk of having an eye emergency? You can reduce your risk of eye emergencies by always wearing protective goggles when you use tools or chemicals, or participate in high-contact sports. You should also always thoroughly wash your hands before inserting or removing contact lenses. Also, teach your children how to handle scissors safely and avoid using toys that project flying objects, especially pellet guns. Make sure to keep your distance from amateur, at-home fireworks, and teach your children to handle sparklers and other objects safely. If you or a member of your family has an eye emergency, call Perceptions Eye Health and Wellness for advice and to schedule an appointment. You can try to book a same-day appointment online.